I have allergies and they have been okay but every since I got dogs I realize that they are far worse. 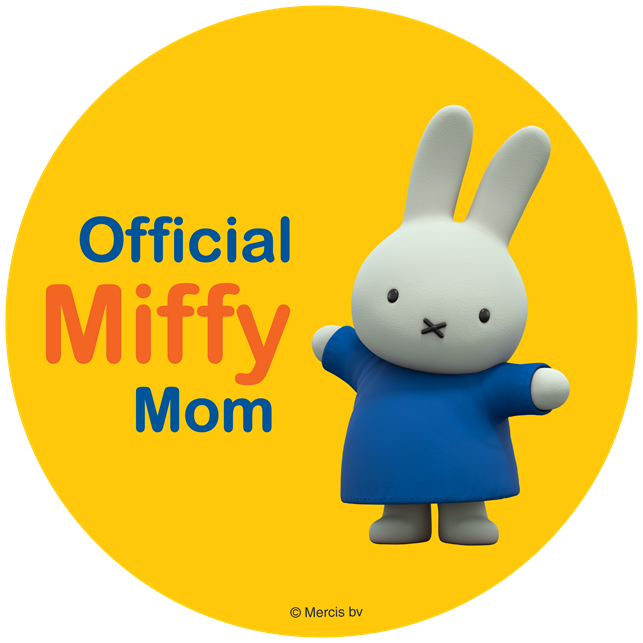 Each morning I wake up and I am puffy-eyed and sneezing up a storm, until about a hour later when everything finally breaks up enough I can go on about my day. Oreck has saved my life with its Oreck Air Response Air Purifier. It reminds me of a paper shredder which is great because it is small enough that it doesn't take up space that we are bumping into it over and over. The great thing is for as small as it is it cleans the air so great! I have stopped waking up with puffy-eyes and sneezing along with feeling a whole lot more rested each morning which makes for a happier me! Not only does the Oreck Air Response Air Purifier help with my allergies but it keeps dust down, and traps odors. 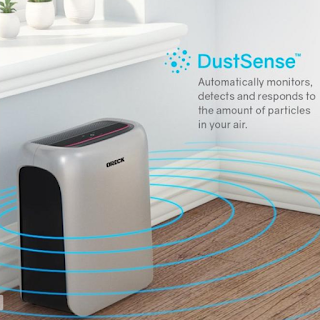 The Oreck Air Response Air Purifier is so cool, it lights up so you know how dirty your house is and as it cleans the color changes so you can see the difference on top of breathing the difference. It does blue, purple and red. I was playing with it by putting it through different spots in my house, my living room and bedroom were red because they are the most traffic areas. Then I had a purple like color for the girls room, it is rarely used. My sister in law took on some water through her door area (from Hurricane Irma that just hit), so now her house has a musky smell, so last night when they got power I offered her to try out the Oreck Air Response Air Purifier, I went by today because they have milk down that way, so she grabbed me some, anyhow I could already and she could already breathe the difference. 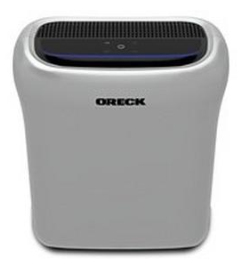 The Oreck Air Response Air Purifier comes in 3 different sizes, small the size I have which is great for the home, medium for a bigger home, and large great for offices and such.